Kate Farms is delighted to host continuing education opportunities for Registered Dietitians. Below are the upcoming courses. Register today! This webinar is designed to provide information on the connection between the gut microbiome and human behavior. Specifically, how a person eats influences his/her gut microbiome enough to influence development and/or symptoms of depression, anxiety, ADHD, and/or ASD. Additionally, this webinar will focus on the nutritional changes that can improve the microbiome and subsequently improve behaviors/mental health. This webinar will be presented by Zachari Breeding. This course has been approved by the Commission on Dietetic Registration (CDR) for 1.0 CPEU hours for Registered Dietitians. This presentation will provide background on pediatric malnutrition and discuss recent findings from published academic articles. Topics covered will include pediatric malnutrition screening and diagnosis, and descriptions of the various tools available. The presentation will provide a conclusion of literature and potential next steps in clinical practice with insights as to how to implement a protocol. 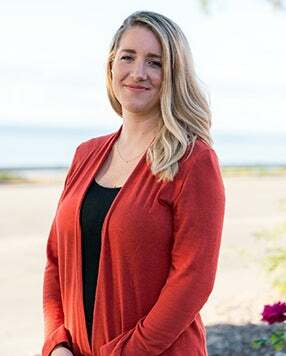 A Clinical Nutrition Manager for Kate Farms, Vanessa has experience as a clinical dietitian in the outpatient, inpatient and long-term care settings with both pediatric and adult patients. She is pursuing her doctorate in clinical nutrition with a focus in integrative and functional medicine. Don’t miss out on future Continuing Education Units! Sign up to be notified when we add new dates and topics to our calendar.